I’m scared, and I know a lot of other people are, too. I am scared because the polarization and division seem to be accelerating at an alarming rate, all over the world. The Edelman Group, which has been measuring trust for decades, reported a global implosion of trust in 2017. I can definitely feel it. In the United States, the 2016 election divided families and friends like never before, and brought political and racial division to frightening new highs. And as fear and anxiety rises, people retreat further into groups of like-minded people, which only serves to fuel the division. The other day I overheard a woman on the street say, “I saw his Trump shirt, and I literally crossed the street.” And that’s the uber polarized world we live in – not even wanting to walk past people from the other side. Since I live in a liberal area but my family lives in a more conservative part, I find this trend – toward not seeing the humanity in each other – to be really disturbing. So what’s the key to getting out of our comfort zones and start reaching across this divide? EQ Practitioner Michael Eatman actively works to build these bridges – and the lessons he’s learned, which he shared with Rachel Goodman at a recent sit down – are equal parts simple, difficult, and transformative. It starts with each of us taking two actions, according to Eatman. Eatman recently attended a training with master diversity trainer and documentary filmmaker, Lee Mun Wah. One of Wah’s quotations really stuck with him: “I’m scared about this conversation about racism and bias all the time. But I’m more scared not to engage.” Even though it’s intimidating work at times, Eatman says the benefits of tackling these touchy topics far outweigh the costs, and that the survival of humanity may just hinge on our ability to overcome our differences. So how can we start reaching across the divide? According to Eatman, reaching across the divide starts with engaging emotions and connecting with one person at a time. To bridge political and racial divides, we need to engage emotions and start connecting with one person at a time – do you agree? Without a doubt, race and politics are emotionally charged topics. And those emotions can sow more seeds of division – or help us build bridges. The difference, according to Eatman, is practicing emotional intelligence. Practicing EQ is a multistep process of recognizing and responding appropriately to your own and others’ emotions. It starts with embracing emotions as a strategic resource, instead of treating them as something that should be ignored or suppressed. Eatman recommends starting with your own emotions: “Acknowledge how you’re feeling. Dig into: ‘If I don’t like someone because of their political affiliation, what is that about? Is it about my insecurity or their humanity?” Oftentimes we feel angry, scared, or disgusted by others’ beliefs, and our tendency is to shy away from those strong, challenging emotions. We make jokes. We cross the street. We identify ourselves as part of one group, and not another. But EQ is all about learning to harness those emotions as a strategic resource. Anger, for example, focuses our attention on something we want to change, and motivates us to fight through or overcome the obstacles. EQ is the ability to acknowledge that anger as a valid feeling, while also saying, “What do I truly want in the end? And what are my options to get that?” Then you can use that energy from the anger in a productive way to get you closer to what you truly want, which in this case means using it to start reaching across the divide. Sometimes, reaching across the divide is about not only coming back to what you truly want, but asking what your political opponents truly want in their lives. “One of my colleagues has a mother who is very conservative, while she is not.” says Eatman. “She says, ‘I can’t believe my mom is on a high horse of ‘Go President Trump!’ I said to her, ‘Even if you don’t support the president, the question is, how can you have a conversation about what really matters?’ That ability to dig deeper is central to reaching across the divide. The more we are willing to talk about what really matters, and the emotional drivers for each party, the quicker we realize that we have more in common than we think. “When we’re dealing with the high tide of political differences, it’s about relating to others from a place of humanity,” says Eatman. You may also like, How Communities Heal from Conflict: 3 Practitioners’ Stories. This concept, of holding space for emotions, is essential in the nitty-gritty work of reaching across the divide to connect with the other side. It will be uncomfortable at times. Emotions will come up for both parties that they need to be able to share in a non-threatening way. And the only way you can do that is through a mix of trust and honesty. One person at a time, we start reaching across the divide and building bridges. 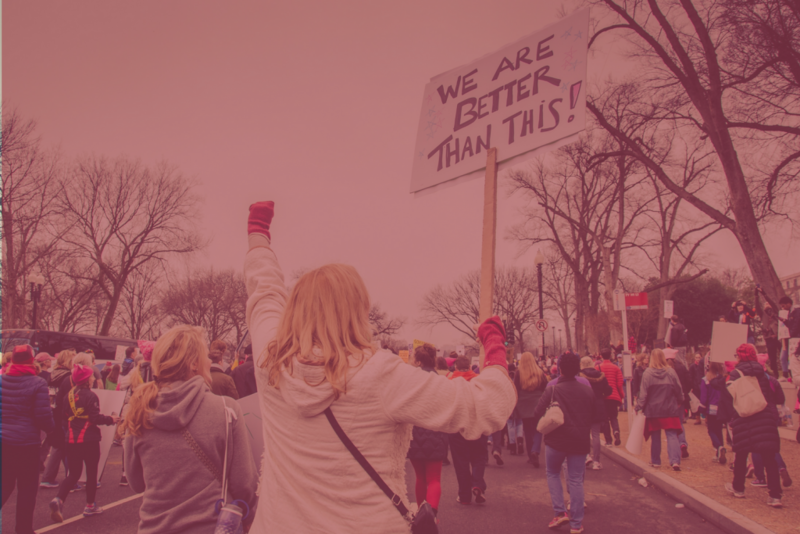 This article is an updated version of Rachel Goodman’s article, Using EQ to Build Trust Across Racial and Political Divides. “Holding emotional space” was the most meaningful part of this article for me. We often say we are going to let people feel what they feel, but to actually let people feel comfortable enough to do this is another thing entirely. To me, this emotional space also must include the comfortable-ness of silence if that is what is needed. Great article! Thank you, Linda! Holding emotional space is a hard but rewarding practice.